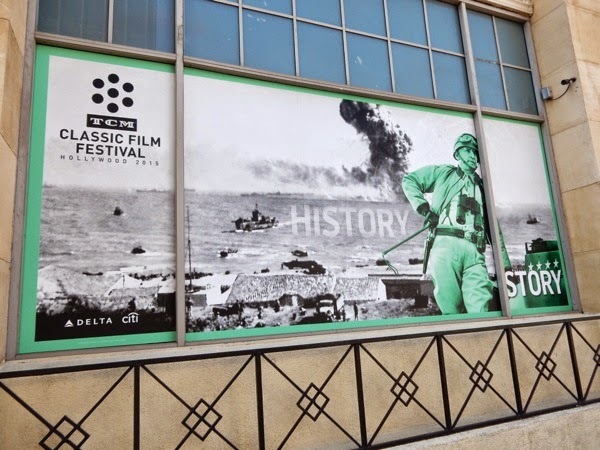 How quickly time flies, and it's once again that time to look back and celebrate some of Hollywoodland's cinematic treasures in the annual TCM Classic Film Festival. 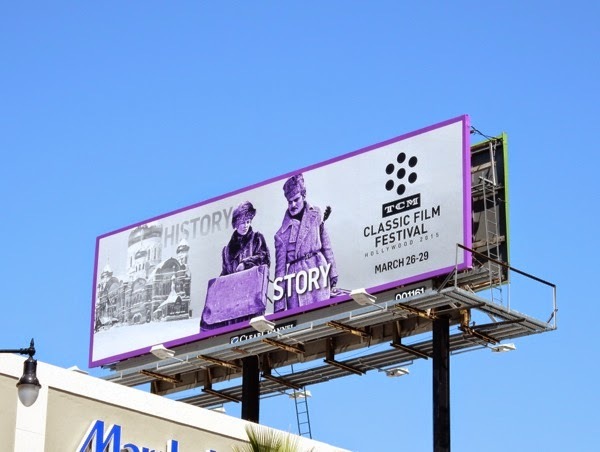 Starting today and running through until March 29, 2015, the four-day event will be screening classic movies at iconic Hollywood cinemas with this year's central theme being 'History according to Hollywood'. 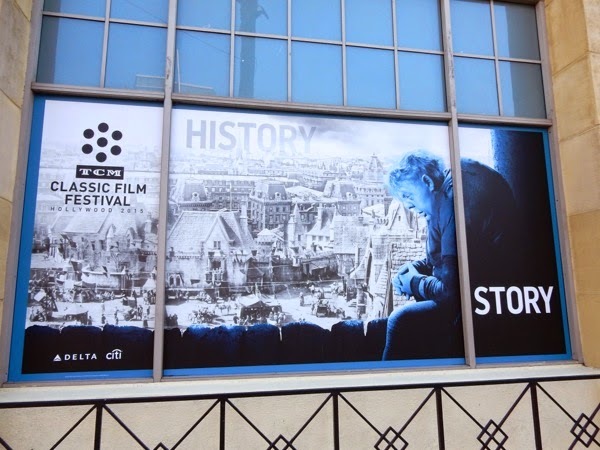 Expect epics from the Old West, Medieval Britain and Ancient Rome and more besides this season, some films that are factually accurate, others that simply reflect the time period they are set in and some that fudge the facts to suit their storytelling purposes, as the TCM Festival explores how the big screen has shaped and how we view history. 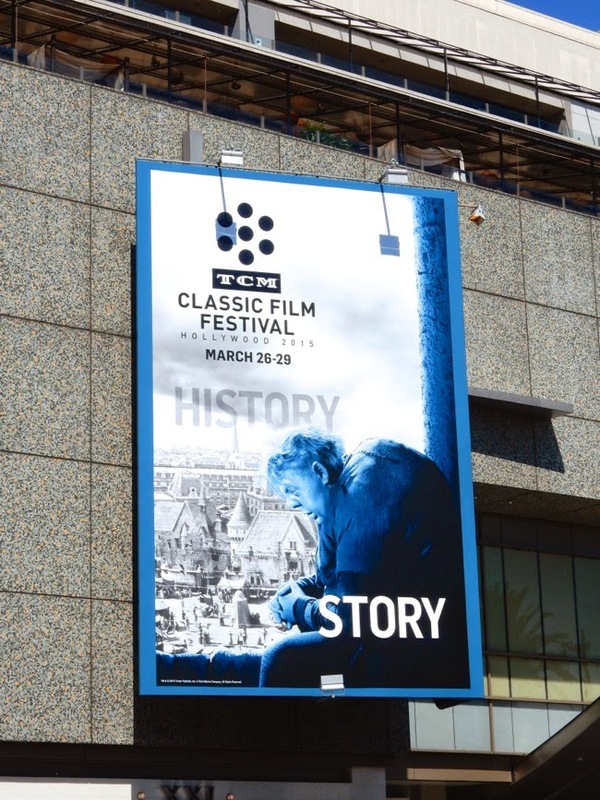 You may recognise some of the actors and characters featured in this year's parade of billboards and posters, everything from the 1939's Hunchback of Notre Dame to 1965's Doctor Zhivago with Omar Sharif and Julie Christie, 1953's Roman Holiday with Audrey Hepburn and Gregory Peck. 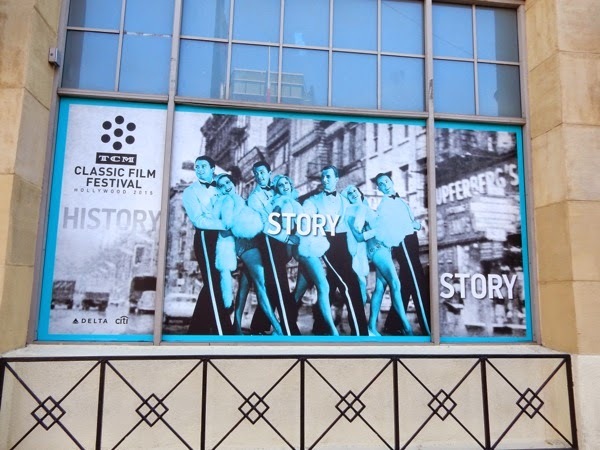 In addition to the landscape and portrait billboards lining the busy Hollywood Boulevard skyline on March 17, 2015, the historic Roosevelt Hotel also had this selection of TCM window posters at street level, featuring 1953's Calamity Jane, 1995's Apollo 13 and more genres besides, from Westerns to musicals and war movies. 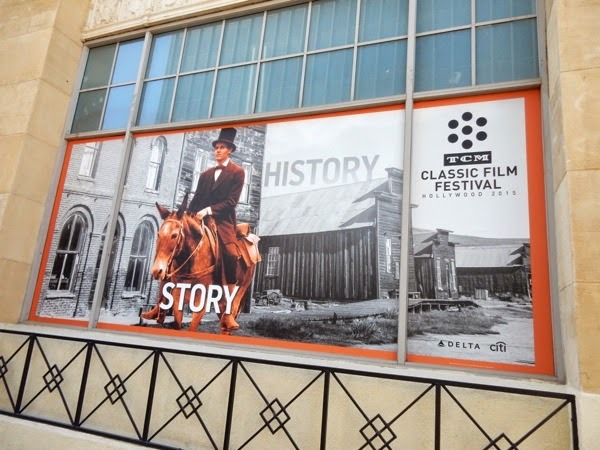 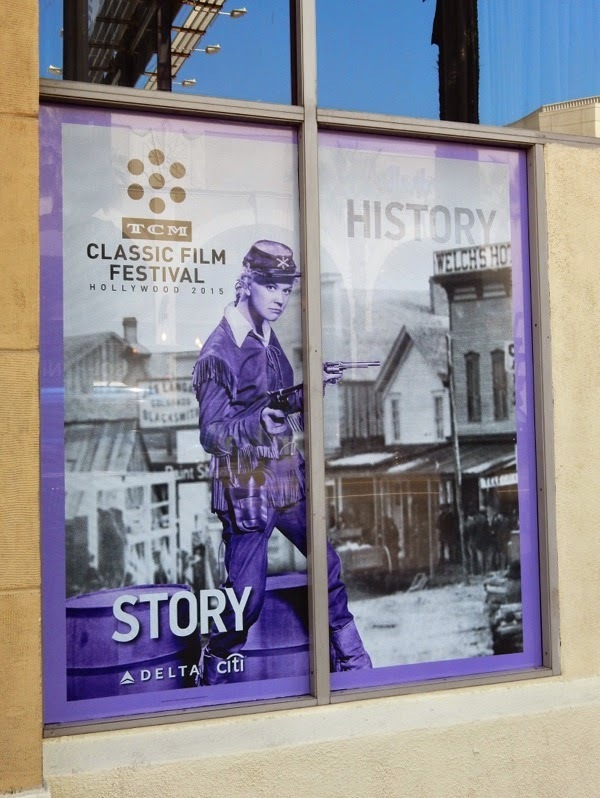 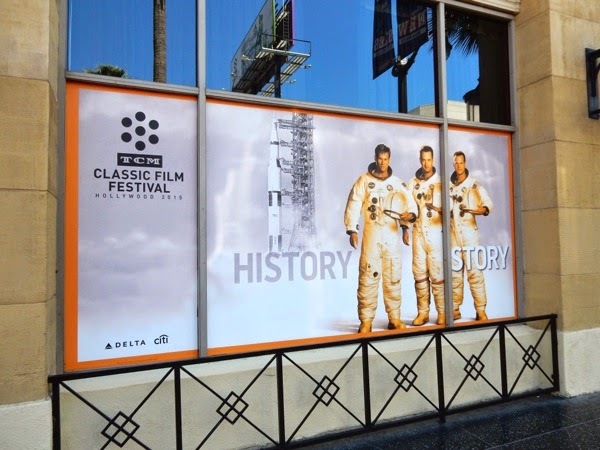 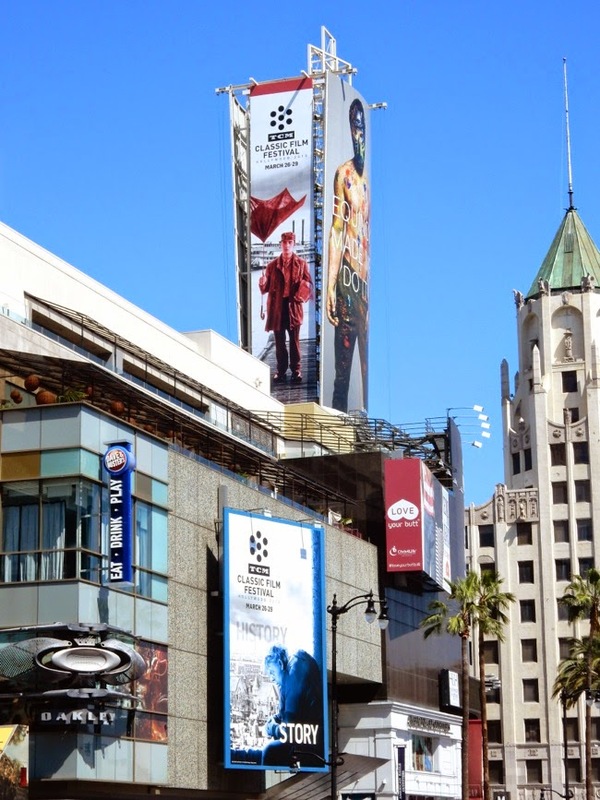 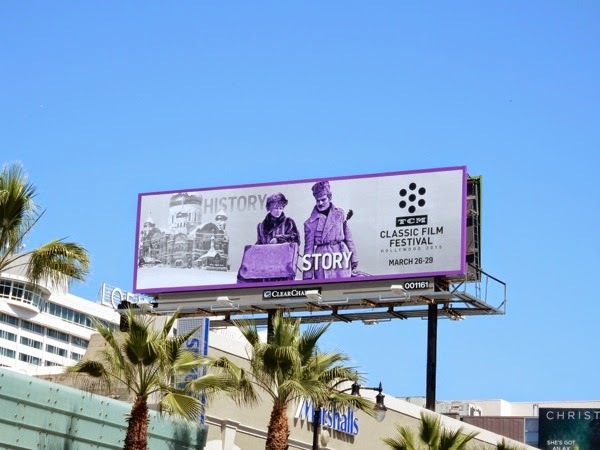 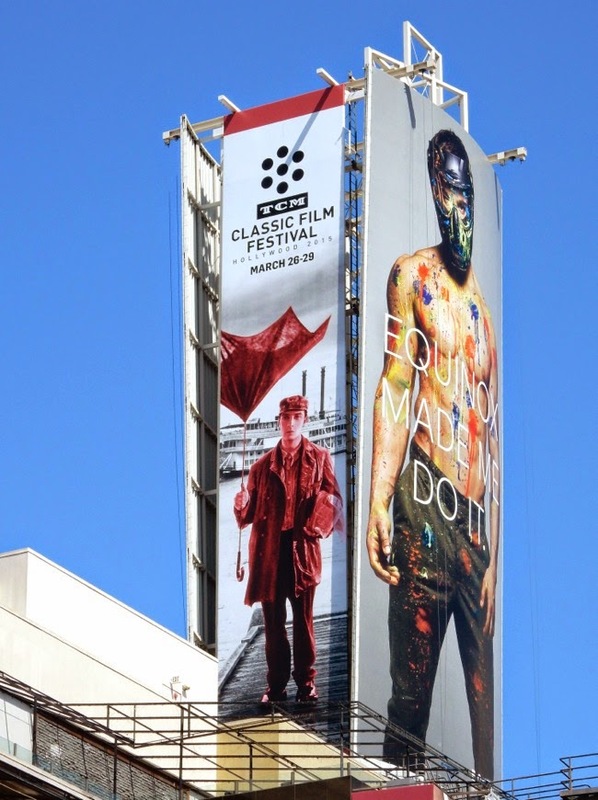 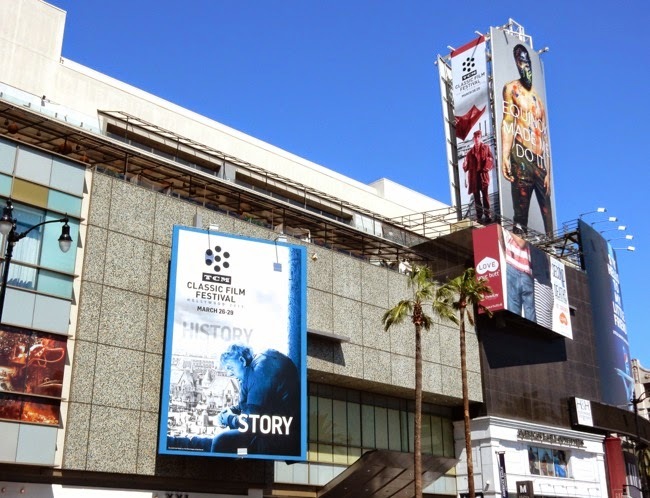 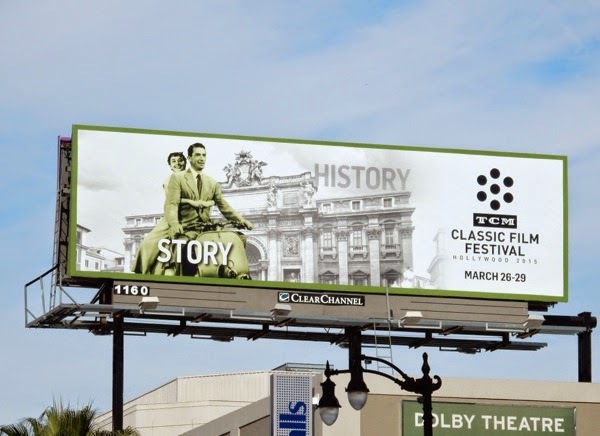 If you like 2015's 'History/Story' outdoor ad campaign for the annual event, be sure to also enjoy these TCM Classic Film Festival billboards from previous years. 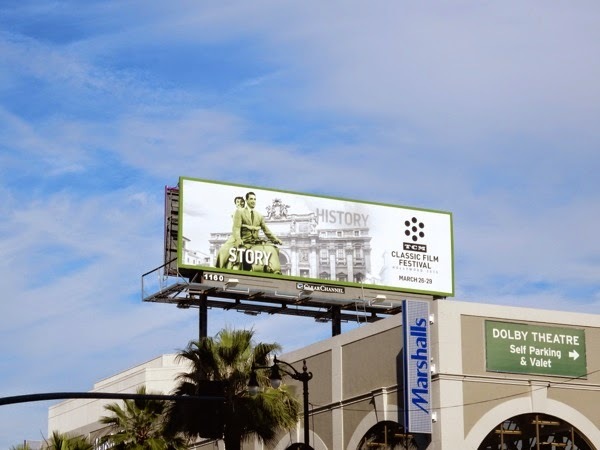 Have these vibrant billboard designs inspired you to step back in time and enjoy some classic cinema? 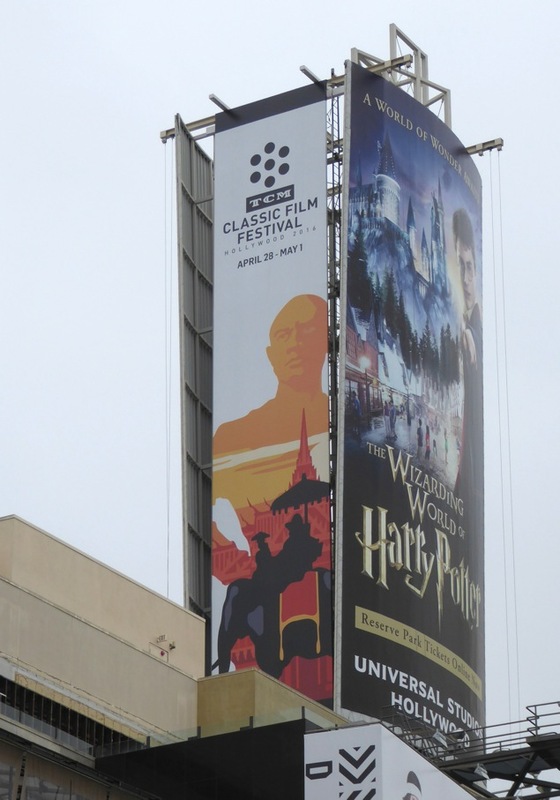 UPDATED: Here's also a billboard for the 2016 film festival snapped above Hollywood & Highland on June 6, 2016.